Four years after its discovery in Deir El-Madina on Luxor’s west bank, it has been revealed that a unique tattooed 3,000-year-old mummy belonged to an elite woman or a top official. Mostafa Waziri, secretary-general of the Supreme Council of Antiquities, says the discovery is important because this is the first time an Egyptian mummy has been found to have figurative tattoos. Waziri said that previous tattoos found on mummies were only a line or a dot, not whole scenes like the ones on this mummy and not drawn on several parts of the body. The mummy, Waziri said, has 30 tattoos depicting a wild bull, a Barbary sheep, a lotus flower, a baboon and the udjat eye. They are drawn on the mummy’s upper arm, shoulders, back, and neck. 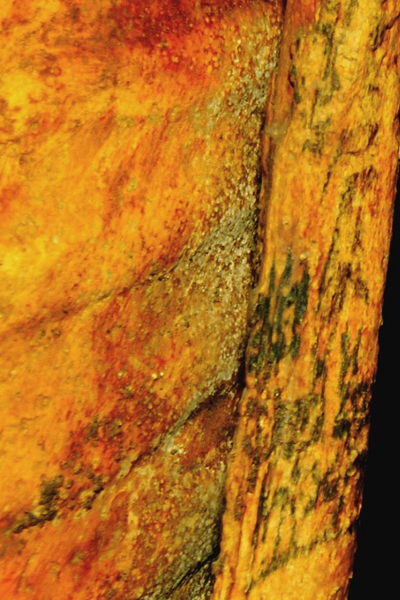 The nature of the tattoos suggest that the mummy, discovered in 2014 by a mission from the French Institute for Oriental Studies, belonged to a member of the elite. Using state of the art techniques and x-rays, the scientific and archaeological studies carried out on the mummy showed that it belongs to a 25 to 34-year-old woman who lived between 1,300 and 1,070 BC. 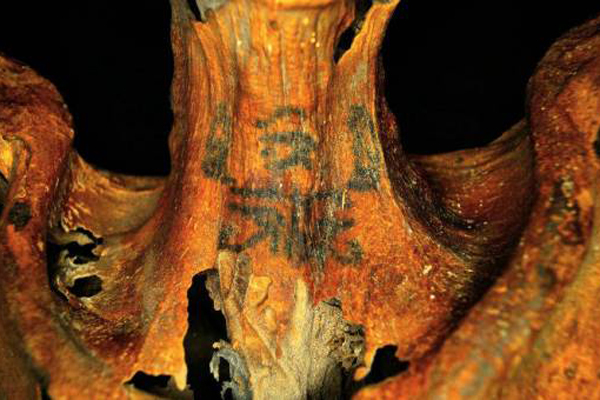 The studies have also revealed that the large number of tattoos on her body may have been indented to signal prestige or indicate an important religious role. The mummy is currently stored in tomb TT 291 in Luxor so it can be maintained in an environment similar to which it had been stored for millennia. 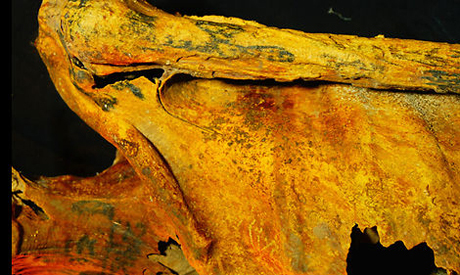 More studies and research will be carried out in an attempt to reveal the name and position of the tattooed mummy.